It’s Brisbane’s time to shine as realestate prices across the city and surrounds continue to show a steady growth. Unlike the property market in Sydney and Melbourne where the market is experiencing a downturn, Brisbane is showing steady returns and continuous growth. Investors from Sydney and Melbourne are flocking to get a piece of Brisbane realestate where the returns are better as compared to back home. 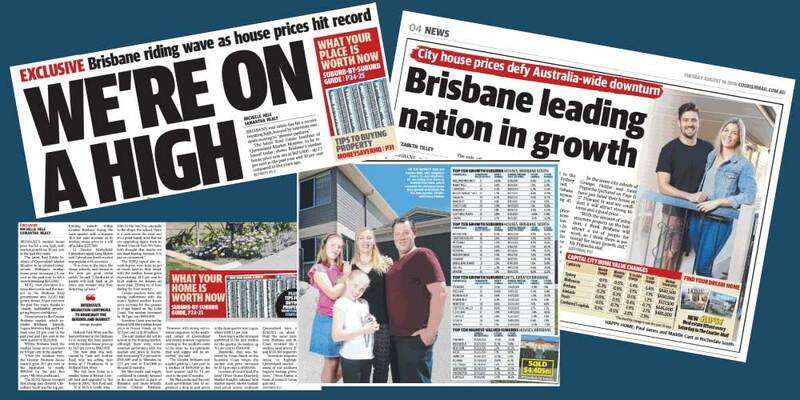 The Courier Mail has run a few news articles in the past month highlighting how the realestate market in Brisbane is going from strength to strength. Here are a few excerpts from these articles and you can even view newspaper clippings of these articles.